When people move here from countries like Asia, they start gaining weight. They develop metabolic syndrome, diabetes and cardiovascular disease. In other words, these people begin to experience the same devastating health problems that plague those here in the U.S. day in and day out. Why is America so deadly? I lay a large portion of the blame on what we call the “Western Diet”. You see, simply by virtue of entering the U.S., immigrants are instantly exposed to the American way of eating. And it only takes a matter of months before they start losing diversity in their gut microbiome. This immediately opens them up to metabolic disorders and disease. Well. If eating American foods works so quickly to destroy the health of newcomers, just imagine what it’s doing to your health if you’ve lived here your entire life! 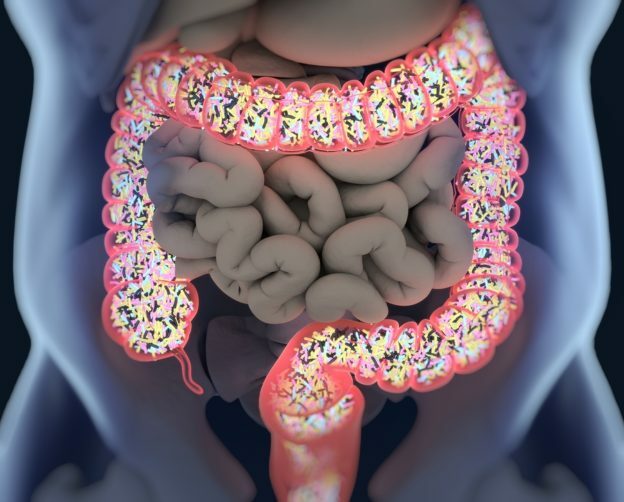 In many cases Crohn’s disease, irritable bowel syndrome, immune disorders, metabolic disturbances, depression and heart disease can be linked back to your gut microbiota. Even people who think they’re healthy eaters often fall prey to foods that destroy healthy microbes and encourage the growth of bad ones. Artificial sweeteners. Commercial meats. Processed grains. Refined sugars. Dairy Products. Snacks. These are all common foods here in the U.S. It’s hard to avoid them. But every single one of them – and more – has a decidedly unhealthy effect on your gut microbes. Not only that, but NSAID pain relievers, proton pump inhibitors, antibiotics and other medications can also ruin your microbiota. Taken altogether, I don’t think it’s an overstatement to suggest that food and medicine could be killing us. One of the first things I learned in my integrative medicine training is that “food is medicine”. If what you are eating is destroying your health, remove it. Then replace it with foods that promote healing. In particular, everyone should enjoy a wide assortment of fresh, organic plant-based foods daily and limit consumption of animal proteins. I generally recommend 85% plant-based and 15% animal protein. Watch out for foods that come in cans, packages and boxes. Some of them might sound like they’re downright good for you. Don’t believe it. They contain food additives such as sugar, salt, emulsifiers, GMO fillers and modern gluten that are horrible for your gut. Get your fiber from natural sources. Getting plenty of fiber has a positive influence on your gut microbiota. Not only does it reduce inflammatory markers. It also improves glucose and insulin response. But most people don’t get enough fiber in their diets. And when they try to boost fiber intake, they often make a common mistake. You see, a lot of packaged foods marketed as “high-fiber” actually contain highly refined soluble fibers that humans were never meant to eat. They’re actually bad for you and can lead to negative health consequences. Your gut will be much better off with fiber-packed foods that come directly from nature. Some great sources include beans, veggies, fruits nuts and seeds. Skip the artificial sweeteners. They may sound healthy, but they’re toxic to your gut. They increase the population of microbes that have a negative effect on your metabolism and have a tendency to pull energy from your food and turn it into fat. Eat more fermented foods. They’re a great source of natural probiotics that feed your gut. Kombucha, kimchi, miso, natto, kefir, tempeh and sauerkraut are all fermented foods. Or you can simply add a probiotic to your daily regimen. Look for a formula that contains a prebiotic along with multiple strains of lactobacillus, bifidobacteria and other strains of healthy bacteria. The higher the colony count, and the more live strains involved, the better off you’ll be. Just make sure to take it daily with food. Exercise is good for the gut. Regular physical activity has a very positive influence on the composition and activity of your gut microbes – even if you don’t always eat as well as you should. Lesser IA, et al. The Association between Acculturation and Dietary Patterns of South Asian Immigrants. PLoS One. 2014; 9(2): e88495. Bull MJ, et al. Part 1: The Human Gut Microbiome in Health and Disease. Integr Med (Encinitas). 2014 Dec; 13(6): 17–22. Davis SC, et al. Understanding the Nutritional Needs of the Gut Microbiota. J Hum Nutr Food Sci. 2016;4(1):1079. Maier L, et al. Extensive impact of non-antibiotic drugs on human gut bacteria. Nature. 2018 Mar 29;555(7698):623-628. Thompson SV, et al. Effects of isolated soluble fiber supplementation on body weight, glycemia, and insulinemia in adults with overweight and obesity: a systematic review and meta-analysis of randomized controlled trials. Am J Clin Nutr. 2017 Dec;106(6):1514-1528. UToledo research finds link between refined dietary fiber, gut bacteria and liver cancer. Press Release. University of Toledo via EurekAlert. Oct 2018. Allen JM, et al. Exercise Alters Gut Microbiota Composition and Function in Lean and Obese Humans. Med Sci Sports Exerc. 2017 Nov 20. Epub ahead of print. 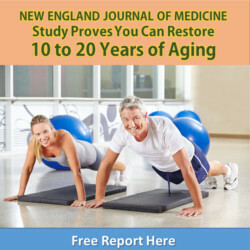 This entry was posted in Live Longer Lose Weight and tagged can gut microbes make you depressed, does diabetes start in the gut, foods for gut diversity, gut microbiota and health, how to eat for a healthy gut, how to replenish my gut microbiome, obesity linked to gut on December 3, 2018 by wellness.